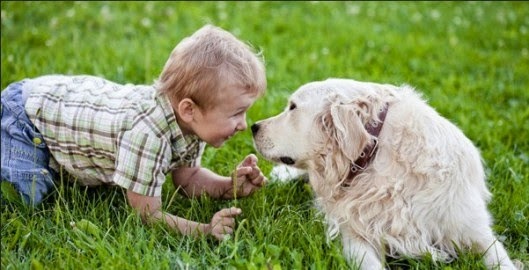 If you are thinking of getting your child a dog, there are several factors you need to think about before you even consider choosing a proper dog breed for your little one. Things like dog's temperament, grooming and care you'll need to do, your lifestyle and whether you've got both the time and money to take good care of your fluffy friend are just some of the factors to employ. Speaking of temperament, you need to know that there is a difference in purebread and mixed breed dogs. While a purebred dog will have the same characteristics as other dogs of the same breed, mixed breeds will have characteristics of both breeds. It would be a great mistake to choose a dog that's different in temperament than your family. 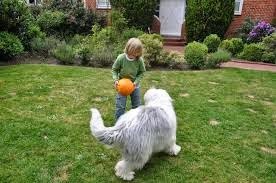 If your child is active, outgoing and wants to have his/her fun it would be wrong to chose a dog that would rather sit on the couch than run outside and vice versa. So, when choosing a dog, the entire family should go so that you all see if you are a good match. It is all fun and games sure, but be aware that owning a dog is nothing similar to owning a stuffed animal. Dogs are human beings that need proper care: they need to be fed, walked, bathed, taken to the vet, so and and so forth. So, as a family you need to know how much money you are able to spend on your new friend each month. Naturally, large breeds are more expensive as they eat more and their health care is more expensive. Also, as they are really large, certain apartments may not suite them. A small breed means less money spent, but not that much less truth be told. Also, be aware that purebred dogs usually have genetic predispositions to some health problems which mean you'll need more money to take good care of them. While mixed breeds will give you less 'money-trouble', you'll still have to set a budget aside so your dog is properly taken care of. Before buying a dog, check if anybody in the family is allergic to dog hair as there may be a lot of it! Truth is, not all breeds are moulting with the same intensity (this is directly connected to their breed) but they all need grooming on regular basis. Think if your children will be able to provide such care. Make sure to include regular veterinarian checkups and also get rid of the fleas (you can use worming tablets). For starters, go with dogs with shorter coats as they need less maintenance. Even though it sounds really cute that your children will be the ones taking care of the dog, you must know you will be the one doing most of the things. So, think good before choosing a breed. Loving a dog is one thing, but providing it good living conditions is another. Choose a breed depending on the size of apartment where you live. Be aware that dogs like spending time outside, so if you don't have a balkony or a yard, there may be a little problem. Most dogs require at least an hour of exercise during the day. Sure, you will be taking your dog for walks every day, but it's not the same. Also, if your family is big and you have a big dog, it may be a bit overcrowded. So, if this is the case, go for smaller breeds. If your children are not particularly active, there's a big chance your dog will be unhappy as it won't have anybody to exercise and play with. That being said, be smart about the breed you choose and adapt it to your living conditions. Greetings Lina, a very important post with lots of great information. People really should choose a dog very carefully to prevent heartache afterwards.